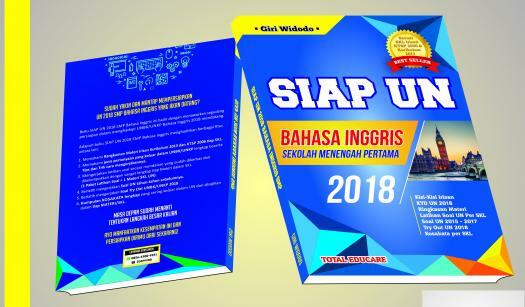 Latihan soal untuk mempersiapkan UNBK Bahasa Inggris untuk siswa kelas 9. Dear Alia, I’m sorry to tell you that I can’t go with you to visit grandma to Surabaya this weekend. I must do my school project and prepare for the exam. I will go there after exam. Thanks. Love, Cynthia Why will Cynthia not go to Surabaya this weekend? She doesn’t care with her grandma. She misses her grandma very much. She has homework and prepares the test. She wants to go there alone before exam. Dear Alia, I’m sorry to tell you that I can’t go with you to visit grandma to Surabaya this weekend. I must do my school project and prepare for the exam. I will go there after exam. Thanks. Love, Cynthia I will go there after exam. The underlined word can be best replaced by…. To: Lani Your dictionary is left in my house. Please come here as soon as possible. I’ll go to my uncle’s house at 5 p.m. Dita From the message we can infer that…. Lani and Dita are sisters. Lani will go to Dita’s house this morning. Dita asks Lani to take the dictionary at her house. Dita will go to Lani’s house to take her dictionary. To: Lani Your dictionary is left in my house. Please come here as soon as possible. I’ll go to my uncle’s house at 5 p.m. Dita When will Dita go to her uncle’s house? To: Adam Jordan I'm sorry but I won't be able meet you and Bertha for lunch on Friday. I must complete a project by Friday afternoon, and I can't guarantee that I'll be done by lunch. Could we reschedule for Monday or Tuesday? Terry Smith What is the writer’s purpose to send the message? To meet Bertha for lunch on Friday. To guarantee that the project could be done. To apologize for not being able to meet Adam. To: Adam Jordan I'm sorry but I won't be able meet you and Bertha for lunch on Friday. I must complete a project by Friday afternoon, and I can't guarantee that I'll be done by lunch. Could we reschedule for Monday or Tuesday? Terry Smith Who could not have lunch together on Friday? To: Dama There are no scout activities this week since there will be parents-school meeting in our school. It’s cancelled until next week. Please tell to others. Sender +6281123455432 What does Dama have to do? To: Dama There are no scout activities this week since there will be parents-school meeting in our school. It’s cancelled until next week. Please tell to others. Sender +6281123455432 “It’s cancelled until next week.” The underlined word can be best replaced by …. To: Ryan Buddy, I’ve just received news from Herdy. This afternoon Mrs. Ida wants us to finish our projects at school. Please don’t come late. Our group presentation must be good next week! Why did the writer ask Ryan to come to school? To ask for his buddy’s friend. To: Ryan Buddy, I’ve just received news from Herdy. This afternoon Mrs. Ida wants us to finish our projects at school. Please don’t come late. Our group presentation must be good next week! What is the relationship between Ryan and the writer?